The PAN losses suffered on July 5 extend beyond the disastrous performance in the midterm elections - and hit the conservative party hard in many of its heartland states. The party lost gubernatorial offices in San Luis Potosí and Querétaro. It lost the suburban corridor to the west of Mexico City in the State of Mexico that includes Naucalpan and Tlalnepantla. The PAN even lost municipal races in Guanajuato, the most conservative state in the Republic, as it dropped the state capital Guanajuato and San Miguel de Allende. Party president Germán Martínez resigned Monday, when he accpeted blame for the losses - and took gratuitous barbs from disaffected party rivals such as former PAN president Manuel Espino. But dissatisfaction with the party leadership goes beyond Martínez and the PAN National Executive Committee and has been expressed on the state level. The PAN lost its majority in the state congress and all six mayoral races in the Guadalajara metropolitan area on Sunday - a reversal of the PAN sweep just three years ago. On Tuesday, the Mural newspaper reported that some 400 Panistas protested outside the party offices in Guadalajara's Col. Americana to demand the ouster of PAN Jalisco president Eduardo Rosales. A few colonias away, another group of Panistas armed with eggs protested outside the governor's official residence against the leadership of PAN Gov. Emilio González, who they blamed for the July 5 defeat. Ironically, the local PRI had been rocked by internal conflicts that involved irate members taking over the party headquarters in central Guadalajara last April after the state PRI president - who eventually resigned - welshed on a deal for registering municipal councilors. 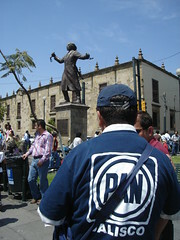 This week, it was the PAN's turn for conflict - not entirely unusual for Jalisco, where the party is split between a faction known as the "paquistas" that is loyal to former governor and former interior minister Francisco Ramírez Acuña - who won a seat in Chamber of Deputies and is being mentioned as the potential PAN leader in the Chamber - and González, whose PAN faction tilts decidedly in the conservative-Catholic direction. The scorn for González is obvious. He courted controversy over the first two years of his term by mouthing off on contentious social issues - questioning if an AIDS prevention program that distributed condoms should also give away hotel vouchers and "un six de cerveza," for example - and pledging 90 million pesos of government money for the construction of a Catholic sanctuary in Tlaquepaque that would pay homage to the martyrs of the Cristero Rebellion. (The money was returned by the church; González made things worse by saying at an audience of business and religious types, "Me vale madre," which politely translates: "I don't give a flying ..."
But blaming González is not entirely fair. The paquista faction won the primary elections earlier this year. The losing PAN mayoral candidate in Guadalajara, Jorge Salinas, also happens to be the brother-in-law of Jalisco PAN president Eduardo Rosales. The runner up in the primary contest for the mayoral nomination - a former mayor of Guadalajara - alleged nepotism and quit the party. The PAN ran into other problems in Jalisco, most notably the mayor of Tonala being removed due to his alleged involvement in a homicide and the operation of an illegal slot machine operation. 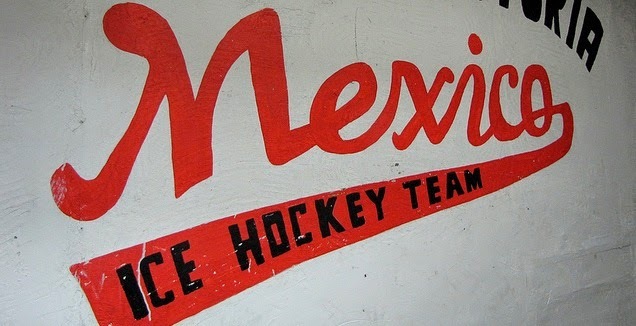 Still, it must be said that this is far from being the end of the PAN in Jalisco, where it has governed since 1995. Six years ago, the PRI made gains in the 2003 Jalisco midterm and municipal elections, but the party was soundly thumped in 2006. The state also has a solid two-party political system in which the third-place PRD is divided and non-existent in places, the Green Party is on the rise and the PRI is said by some observers to be more conservative - and friendly with influential church leader, Cardinal Juan Sandoval - than the PAN.